Millennium Approaches, Part I of Tony Kushner’s Angels in America, made its debut as a Juilliard fourth-year production in April 1992. Group 21’s Michael Stuhlbarg (left) played Louis Ironson and Robert Sella was his lover, the AIDS-infected Prior Walter. Kushner was Juilliard’s playwright in residence that year; the production was directed by faculty member Richard Feldman. 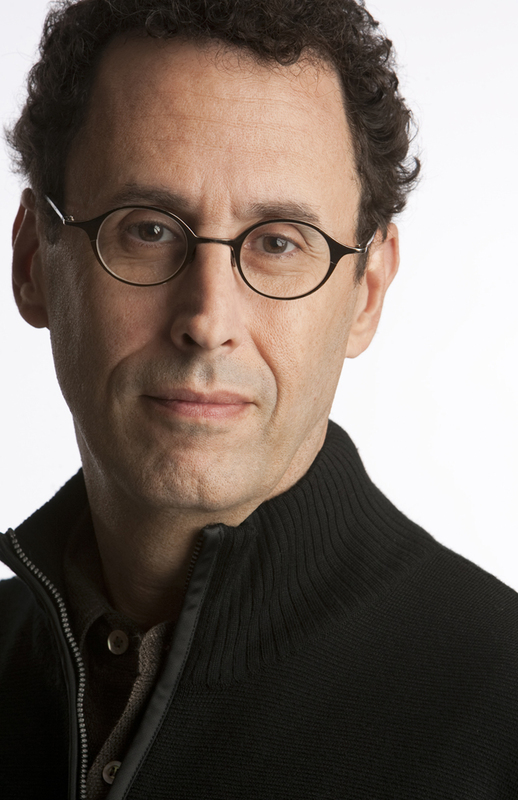 The apex of the AIDS crisis was still searingly fresh in the collective psyche by the time Angels in America, Part 1: Millennium Approaches, the first installment of Tony Kushner’s Pulitzer- and Tony-winning epic, was given its premiere as a fourth-year production in 1992 at Juilliard. But for its creator, then the playwright in residence here, there was already a sliver of historical distance. Thousands of gay men had died; AZT and more sophisticated treatment protocols were finally taking effect; and Larry Kramer had immortalized the epidemic’s harrowing early days in The Normal Heart, which opened at the Public Theater in 1985. So it comes as little surprise to Kushner that the actors in Juilliard’s Group 44, who later this month will present Millennium Approaches for the first time at Juilliard in 22 years, are approaching the work almost as a period piece. After all, he said, it wasn’t that long ago that a Stanford professor recounted having asked some American history students if they’d ever heard of Roy Cohn, chief counsel to Joseph McCarthy and advisor to Ronald Reagan. “And one student raised his hand and said, ‘He’s a character in Angels in America,’” Kushner recalled. Set in New York in 1985, Millennium Approaches tells the story of two couples whose lives intersect by chance: the AIDS-afflicted Prior Walter and his boyfriend, Louis Ironside, and Harper Pitt, a Mormon housewife prone to Valium-induced hallucinations, and her husband, Joe, an ambitious law clerk and confidant of Cohn’s who’s grappling with his own sexuality. For the current production, veteran Juilliard director Lila Neugebauer, who earlier this fall directed A.R. Gurney’s The Wayside Motor Inn to acclaim at the Signature Theater, has envisioned such a spare space, cloaking the theater in an image—comprising 3,000 individual papers to represent “a multitude, literally and figuratively,” she said—of a single man dying alone in his sickbed, the central prop a coffin that can be transformed into a park bench or a table. With the help of the dramaturg Shana Komitee (who interviewed faculty members about their late colleague Marian Seldes in this issue) and prompts from Neugebauer, the actors have amassed a catalog of research on the epidemic and Angels, which they presented at their first rehearsal. It’s an accumulation that displays “how far-reaching his genius is,” Neugebauer said of Kushner. For Barbato and Noah Averbach-Katz, who play Harper and Joe Pitt, the assignment was to explore Mormonism; for Robert Aramayo, to delve into the life of his character Roy Cohn; for Brandon Hall, who portrays Belize, Prior’s former boyfriend and best friend, to look at New York City drag culture in the 1970s and ’80s; and for Mallory Portnoy, to accumulate background on Ethel Rosenberg. Meanwhile, Eliza Huberth, the angel, and Justin Mark and Justin Barnes, who portray Louis and Prior, investigated the evolution of treatments for HIV/AIDS.